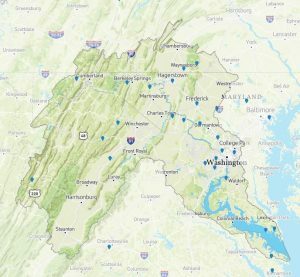 Additionally, the Potomac Basin Stewards, managed by the Chesapeake Network, is a great information sharing system in which success stories, trials and tribulations, and funding information can be shared. Please contact us if you have questions, suggestions. or comments. Complete this form to add or edit your group on the map.